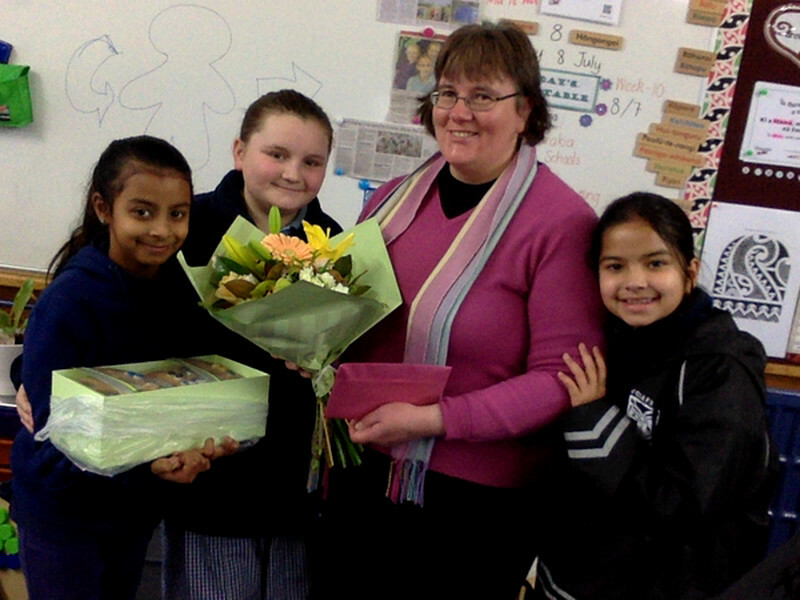 Today we said farewell to Mrs Woerman because it was her last day with us. 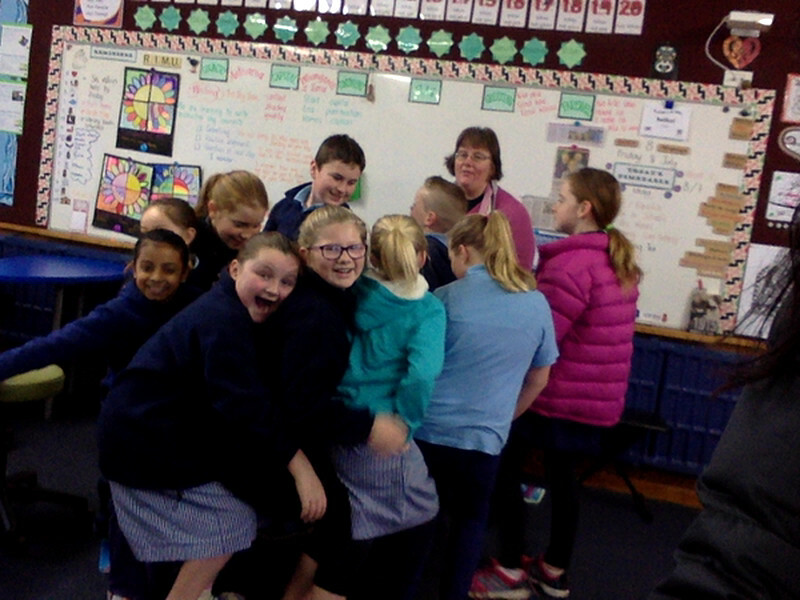 She has been taking Rimu Class for Bible in Schools lessons every Friday this year and has taught us many lessons we can use in life. Playing a cooperative game we can see how we need each and every member of the team. This drawing reminds us that we need to have love for God, love for others, love for the environment and love for ourselves. Today we learned about how important each and every person is. 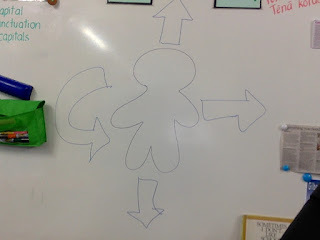 We talked about qualities in people that are important. Farewell gifts for each other. 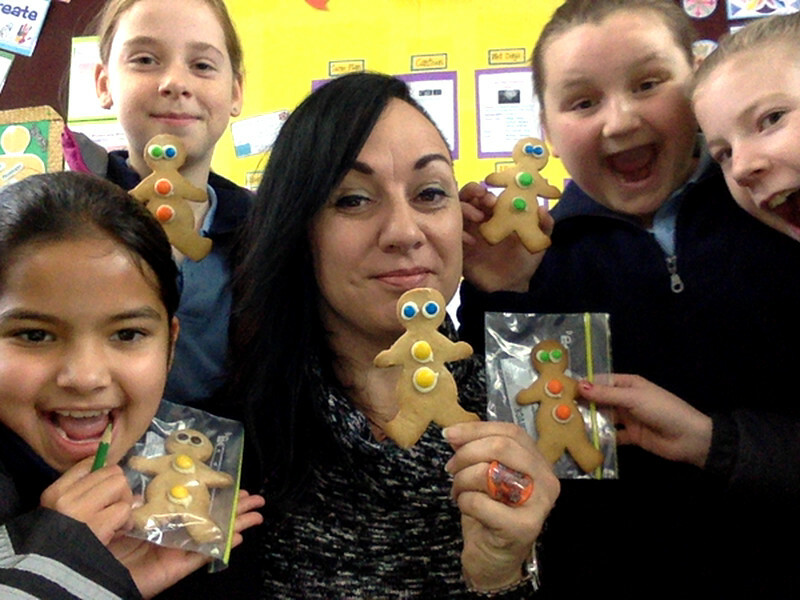 Mrs Woermann made us gingerbread people and we gave her cards and flowers. Hi my name is Gracie and I go to Owairaka District School.The ginger bread's looks nice farewell Mrs WoerMann that was a nice gift before you leave and that's so nice for you's to give the flower's and card's FareWell Mrs WoerMann And have a good time Rimu Class. Hi, My name is Janice from ODS. I'd like to say that those Ginger breads look amazing. The teacher did a pretty good job on making them. Why did she choose to make gingerbread for you? 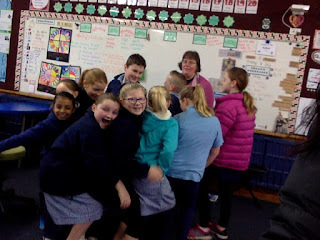 Maybe next time you guys could have a look at my blog on my Learning http://odsjanices.blogspot.co.nz/.